Rio de Janeiro, April 28 Cruzeiro manager Marcelo Oliveira admitted that the Brazilian football club is considering a move to sign Ronaldinho. The two-time FIFA world player is reportedly seeking to leave Mexico's Queretaro where he is contracted until September 2016. 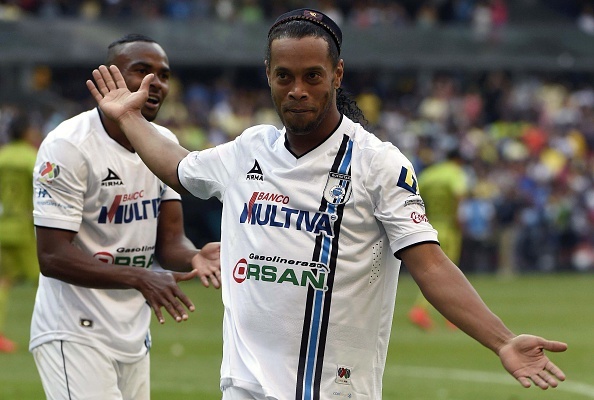 Ronaldinho's brother and agent Roberto Assis has held preliminary talks with Cruzeiro officials, reports Xinhua. “I don't know anything. These are issues we talk about in-house. “Everybody knows we are looking for an attacking midfielder, but there is a lot of speculation,” Oliveira said. “He is a wonderful player. We need to see where he is at. He is a player who always imposes himself on the pitch due to his technique and talent. Ronaldinho has scored just five goals from 22 matches for the Mexican club which he joined last September. He is understood to have fallen out of favour with coach Victor Manuel Vicentich amid rumours of his penchant for Mexican nightlife and lax approach to training.